Susan Coolen is okay with picking up your trash. 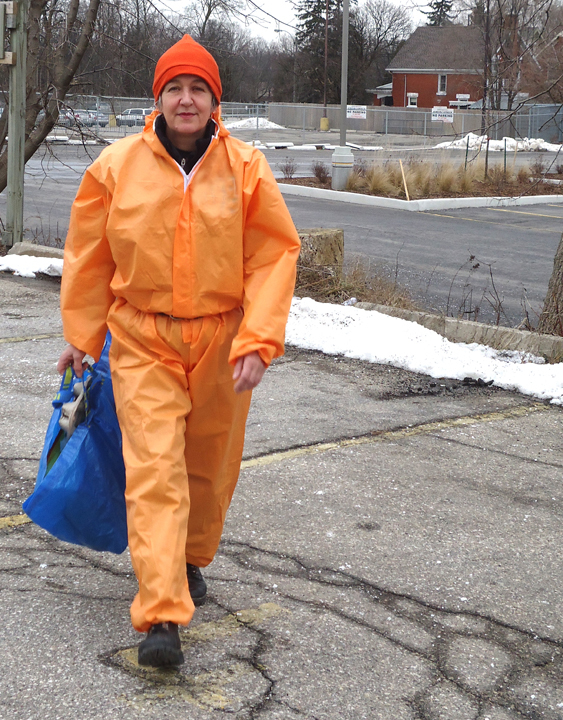 In fact, picking up trash is part of her job as the 2013 City of Kitchener artist-in-residence. 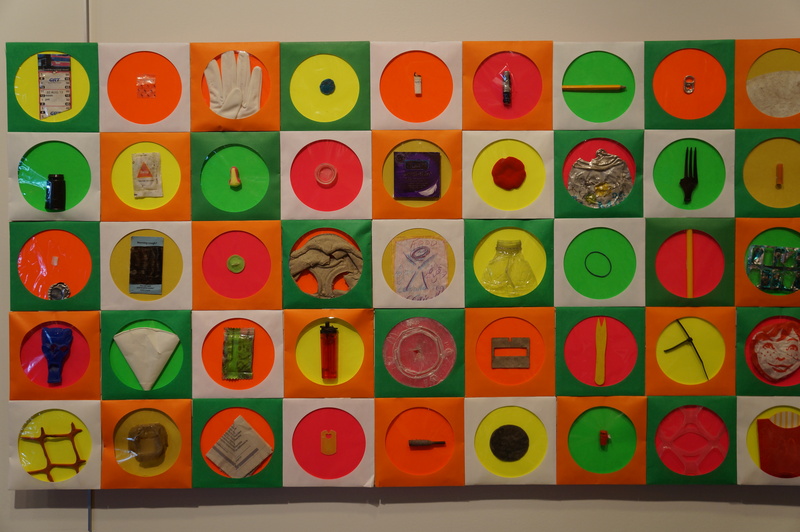 Susan’s artistic residency program is called the Litter-Arti Project and focuses on collecting litter found on Kitchener streets and turning it into art. 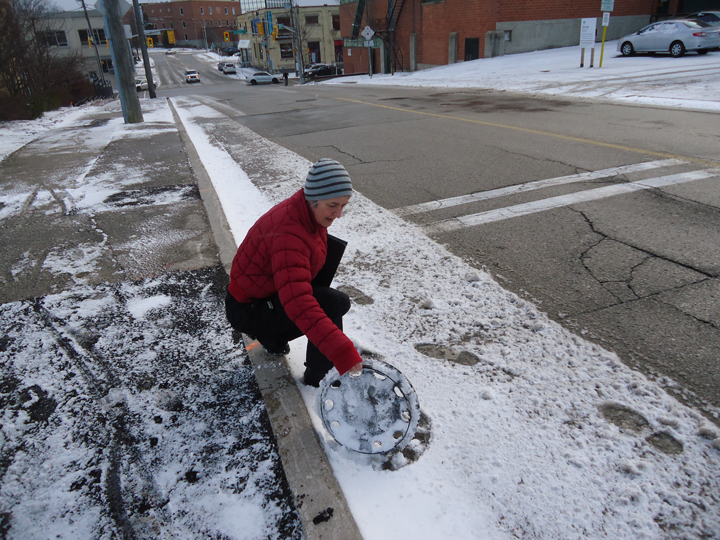 With her studio in downtown Kitchener, Susan was no stranger to finding litter on her adventures through the city and saw a way to create an art project that would transform how people saw litter, engage the public in an interesting conversation and build in an element of civic participation. One of her projects is the cleverly entitled 50 Ways to Leave Your Litter. 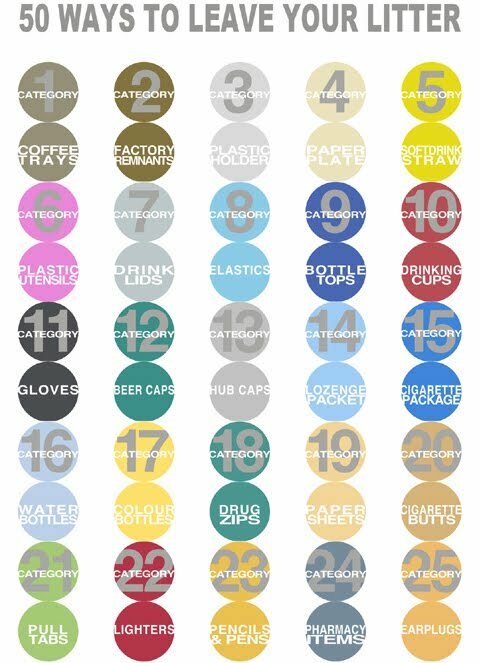 Through litter pick-up events on Kitchener’s streets, she has collected 50 examples of 50 distinct forms of litter (that’s 2500 pieces of trash! 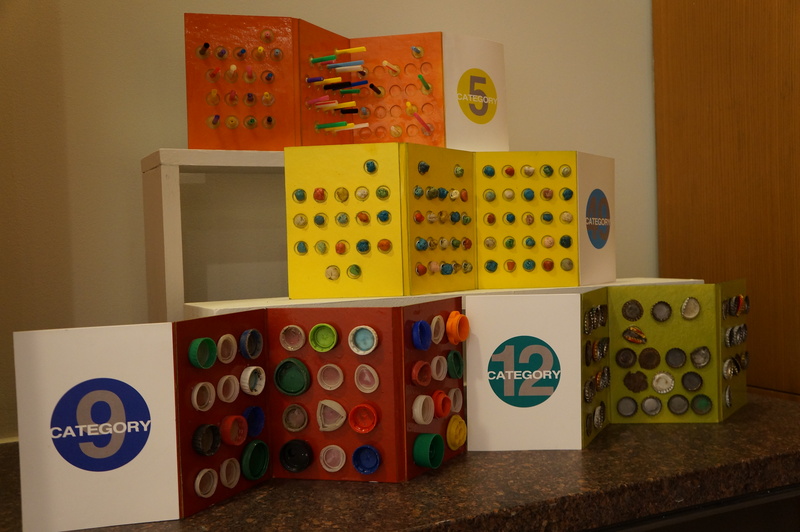 ), and turned it into colourful and playful works of art, animated videos and books. Surprised litter could take so many forms? This is why we have artists to help us look at things we might take for granted and help us see it in a different light. Susan is a collector at heart and says the trickiest element of this project has been managing her own impulse to pick things up. “I have 2,500 items to work with,” she says. “But I still can’t help myself at times as I am either continually drawn to certain items or want to feed my need to tidy up the world,” she says. How can you get involved? You can talk with Susan at the Waterloo Region’s Landfill tour and see her ‘carpet of litter’ on October 26 (call to reserve your spot). And of course you can (and should) check out the exhibits in and in front of Kitchener City Hall and follow Susan’s progress on her blog. And stay tuned for her post-residency project on road kill. P.S. Susan’s favourite topic of conversation: the constant conversation she has with herself about the things that catch her eye and compel her to capture it visually. From the outside, it looks like a former LCBO building* and not a typical destination for the local architectural festival, Doors Open Waterloo Region, but it’s what happens inside Creative Enterprise Initiative (CEI) that makes the place so interesting. 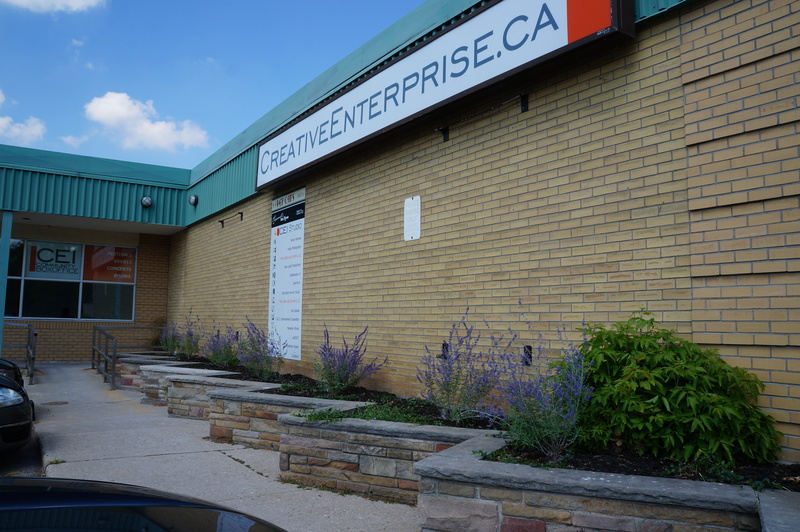 CEI’s mission is to help build a prosperous creative sector in Waterloo Region. The big thinkers behind CEI know that for the region to be a successful hub of technology, education and innovation, we need to attract and retain top talent. Having an interesting and active arts and culture scene is one of the best ways to do that. One way they are doing that is to rent out the main floor of the old LCBO building on Erb St. to artists, at affordable rates. They are working with the developer to enliven the space, taking the opportunity to pilot the CEI Studios initiative as an arts incubator. “Part of CEI’s scope is to provide creative types with the skills to build their businesses and showcase their work,” says Nancy. 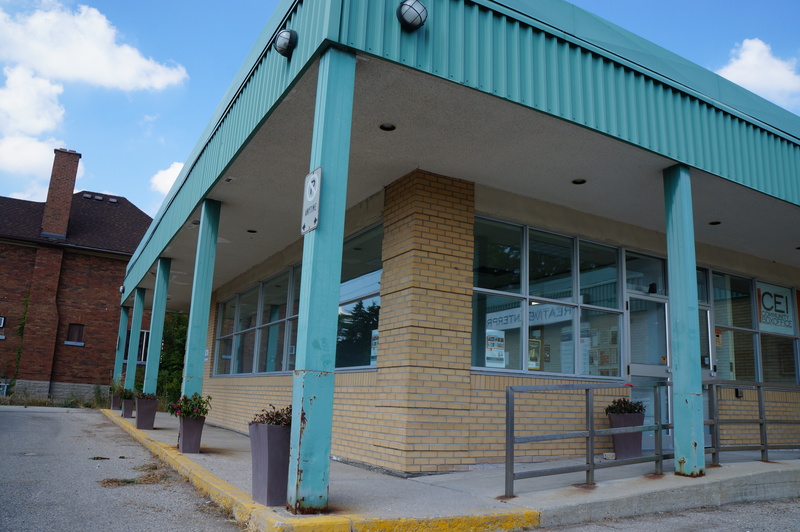 “This will ultimately lead to more prosperity for the region and increase sustainability for these businesses.” The rest of the building is rented out by Hep Cat Hoppers dance studio and Maxwell’s Music House who rents rehearsal space to local musicians. Their main arts promotion vehicle is the recently launched Grand Social website, where people can discover all the interesting things happening in the area in a centralized site. 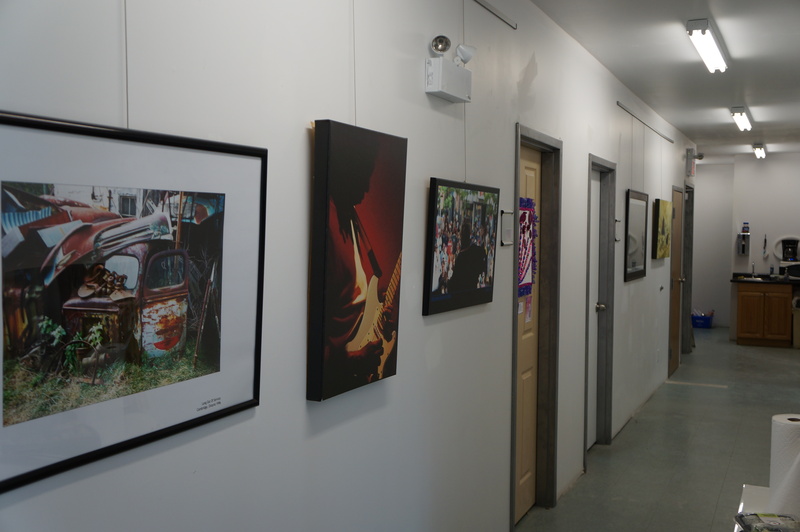 It also acts as an artist’s resource, with a place to promote their work and connect with others. “In the broadest sense, it’s a platform for creatives, both urban and rural, to promote themselves at the local level and access resources to help them build their arts business,” says Nancy. Artists can be paired with a mentor, attend workshops on topics such as grant proposal writing and use Grand Social as a tool to promote their events and talents. Behind the scenes, CEI staff are talking to industry leaders about the value of a thriving arts and culture community and the role it can play in elevating the economic capacity of the region. And at the same time, they are busy talking to creative types about the value of connecting to Grand Social through the CEI Road Show. This autumn, CEI is hitting local spots around the region to get more creatives connected to the site and learn more about what’s happening, beyond the big headline events. 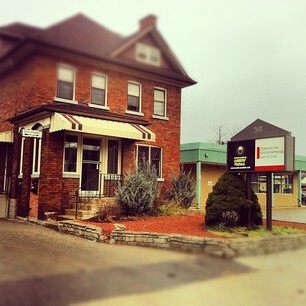 On September 21, you can visit the CEI studios as part of Doors Open. The artists will be showing their work and giving studio tours. You should stop by. *It is a former LCBO building, so this makes sense. P.S. Nancy’s favourite topic of conversation: photography. Are you a member of Grand Social? What do you think of it so far?